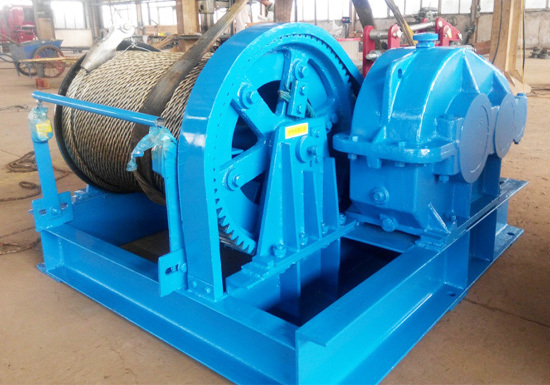 Construction winch mainly refers to various electric winches used in a number of different construction engineering projects on land as well as in the coastal areas. It is also available with hydraulic winches and diesel winches. The construction winch machine is primarily designed for lifting, pulling or dragging heavy materials, significantly improving the workflow and working efficiency. We offer a variety of construction winches to meet your business’s lifting and pulling requirements, mainly including JM slow speed winch, JK high speed winch, JKL electric piling winch, JKD planetary winch and JMM friction winch. 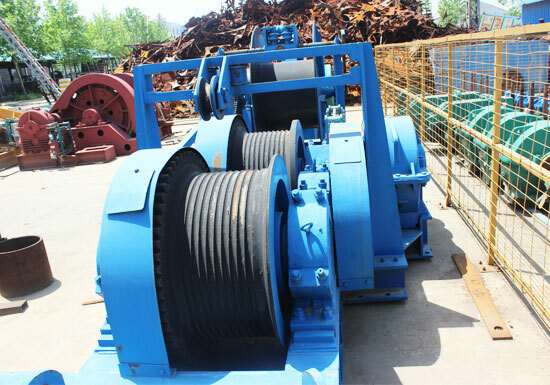 Each of these construction electric winches has its particular uses and unique features. 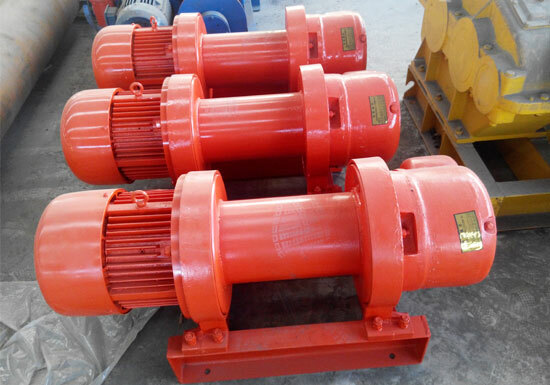 JM slow speed electric winch a kind of gear reducer driven winch mainly used in the installation and disassembly of medium to large-sized concrete, steel structures and heavy machinery. 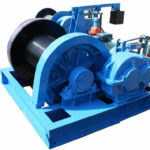 This type of winch can also be used on boats and ships for anchoring, mooring and towing purposes. In the case of marine applications, the winch will be fitted with IP56 marine duty motors and IP65 aluminum can brake. The electric control box will be designed with higher waterproof level. 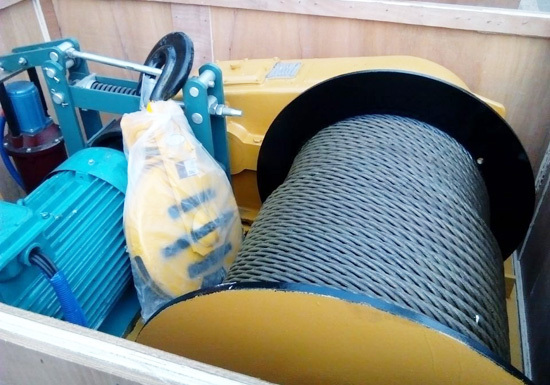 JK fast speed electric winch is suitable for lifting and pulling materials in civil engineering construction projects as well as in the installation of small equipment. Besides, it can be a special hoist winch for derricks and cranes. JKL electric piling winch is specifically engineered for vertical lifting of heavy loads in various construction sites, factories and ports. One of the most distinct features is spindle rotation. 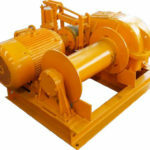 JKD planetary winch is a sort of small winch with planetary transmission. It is widely used in construction, metallurgy and other industries for lifting and installation work. This new type of winch features compact structure, stable and easy operation, simple maintenance, low noise and long service life. 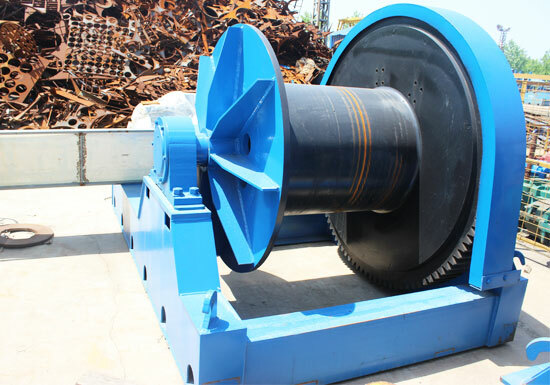 JMM type friction winch is a kind of large winch used for long-distance pulling and large-stroke lifting of large, extra-large concrete and steel structures. It delivers constant rope speed and stable lifting. According to your winch uses, working environments and other requirements, you can choose the right winch system for your applications. We are also pleased to assist you to select the most suitable winch solution for the utmost efficiency, productivity and safety. Sturdy construction. 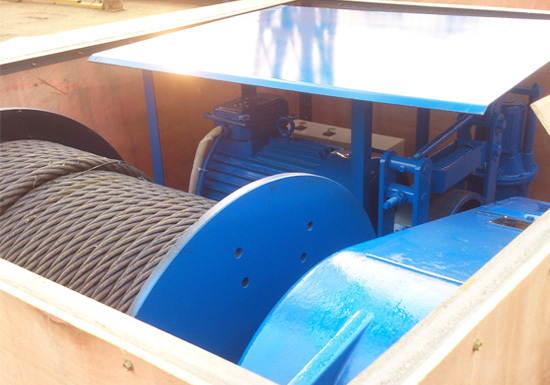 Our winches are built with high quality steel so that it has extended working life. All components used are purchased from reliable suppliers. Smooth operation. It is ensured by gears that have precision machine cut teeth subjected to heat treatment. High efficiency. Precision machining of the equipment can minimize the losses as well as improve working efficiency. Energy efficient. 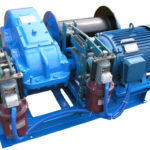 The electric winch offered by our company has low energy consumption. Easy installation and maintenance. Due to simple structure, the winch can be installed and maintained easily. All wearing parts can be removed and replaced easily, thus reducing down time. Custom design. Our winch can be custom designed and constructed to meet your particular lifting and pulling needs. Where is the winch used, on land or port? What is the specific use, horizontal pulling or vertical lifting? What is your required load capacity or pulling force? What is the required rope capacity? What is the required speed, slow speed, high speed, single speed or two speed? Do you require a rope guide for improved spooling? 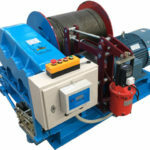 Do you need an electric, hydraulic or diesel winch? These are basic questions to consider when buying a winch for construction, which are very useful for indentifying the right winch equipment for your particular needs. In case of doubt, contact us online and discuss your construction winch specifications with one of our experts. 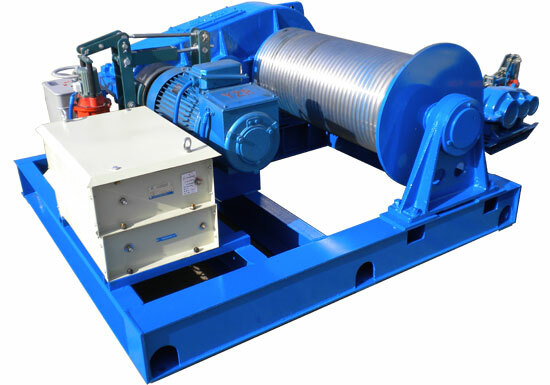 The engineering winch is a simple lifting and pulling equipment that consists of electric motor, drum, rope or cable, transmission system, brake and control system. 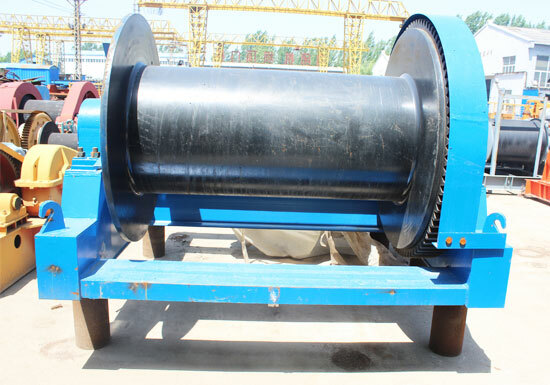 It is constructed with Q235B material, and the drum is made of Q345B steel coil. Generally speaking, the winch in construction utilizes an electric type since it is extremely safe and reliable, and can be controlled remotely. 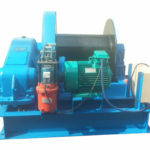 Moreover, the electric construction winch has low operational cost. This winch is equipped with IP44 electric motor. A variety of rope materials are suitable for use on construction winches, including wire rope, nylon, polypropylene, polyester and natural fibers. The rope capacity is determined by the length and diameter of the rope. 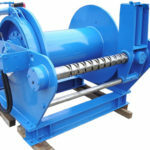 The winch drum is available with single drum and double drum to match varied uses, performance and operating conditions. 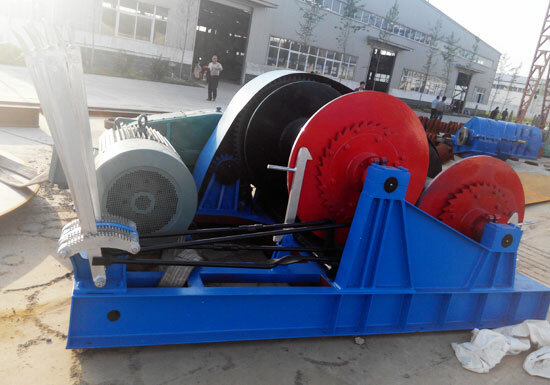 The grooved drum is optional for better rope spooling on the drum. 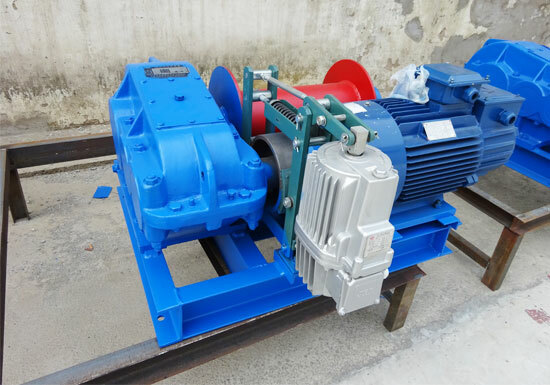 There are different types of transmission system that can be fitted with your winch, such as reduction gear, spur gearbox and planetary gearbox. The selection of transmission is largely determined by the required efficiency and how much torque to be transmitted. The construction winch comes standard with hydraulic block brake. The electric winch can be controlled in many different ways, mainly including push-button control box, pendant control and wireless remote control. The control used for the winch is determined by users’ preference, ease of use, and in addition price. 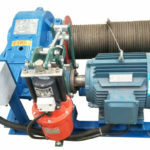 Looking for an affordable and durable winch machine? Aimix Group can offer you such equipment with the most competitive price. Our winch machines are designed for the utmost efficiency, safety and reliability of your winching operations in construction, as well as for the maximum cost effectiveness. 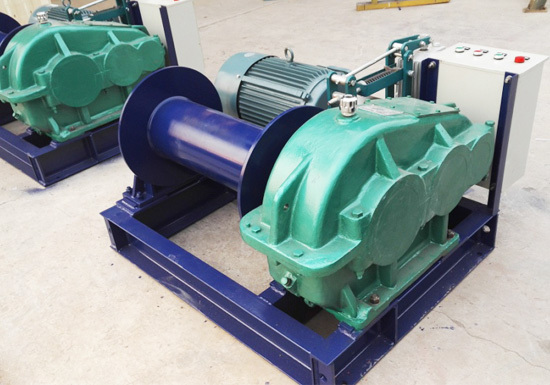 As an experienced winch manufacturer and supplier in China, we have always provided quality winch products for our customers and are capable of offering bespoke solutions to meet their individual needs. We have established a perfect after-sales service network that aims to serve our clients with great satisfaction. 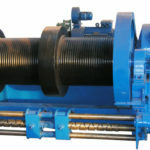 For the latest construction winch price, contact us at any time!